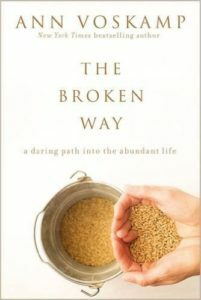 I’ve been reading Ann Voskamp’s The Broken Way: A Daring Path Into The Abundant Life. 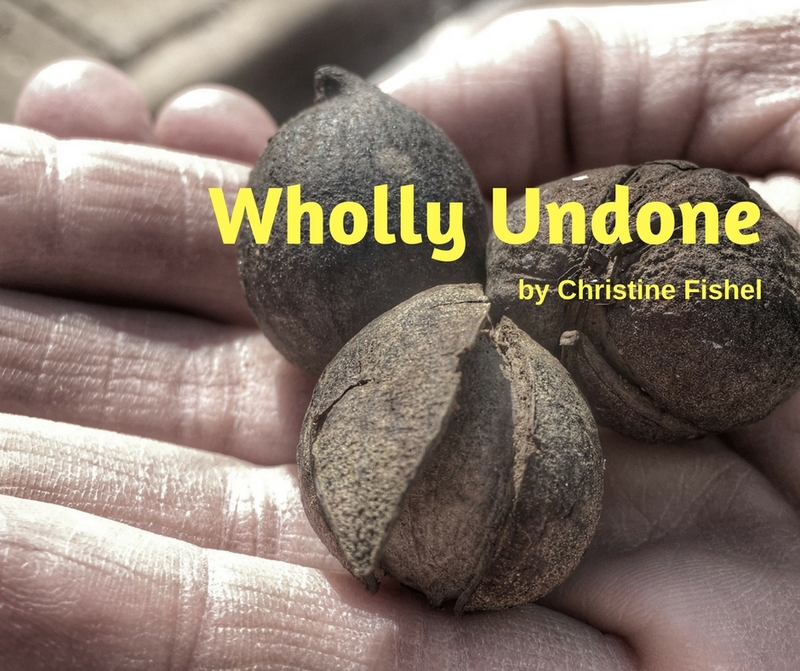 I feel like I know her, like she’s a kindred spirit, this mother-daughter-wife I’ve never met. She’s a lover of Jesus. And, based on her writing, she strives to stop striving and to just be. Just be loved. Just soak Him in. And yet, life’s circumstances have their impact. She is open, transparent, raw. She is a hero in our current masked world. 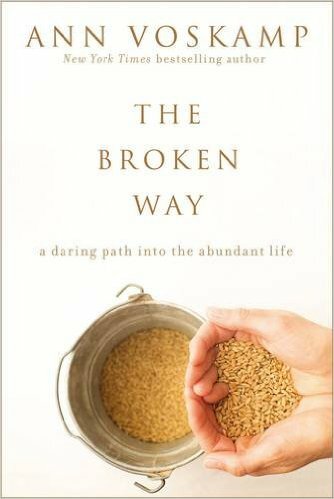 “How do you live with your one broken heart?” she asks in this book (p. 21). Isn’t that the question we, the grieving, want answered? How do we keep on going when we are paralyzed by our brokenness? “Not one thing in your life is more important than figuring out how to live in the face of unspoken pain.” (p. 12) When we haven’t yet figured it out, the signs are there: the scars on arms, the purged nutrients, the empty wine bottles. Sometimes, I’ve found, it comes out in other ways: the purple-red face of rage. I am savoring this book. I read one chapter slowly, underline Voskamp’s wise words, and let them steep in my mind before moving on to the next chapter. This book is a soothing salve for my own broken heart. Chris, I’m hungry for a good Christian book to read this summer to challenge my thinking once again. I think I might just pick this one up. I have grown so much from her other book that we read together: 1000 Gifts. But I’m at a plateau and feel that I need something. Bible study poolside???? 🙂 Thank you for sharing.